This is my new Fibromyalgia Rosary. 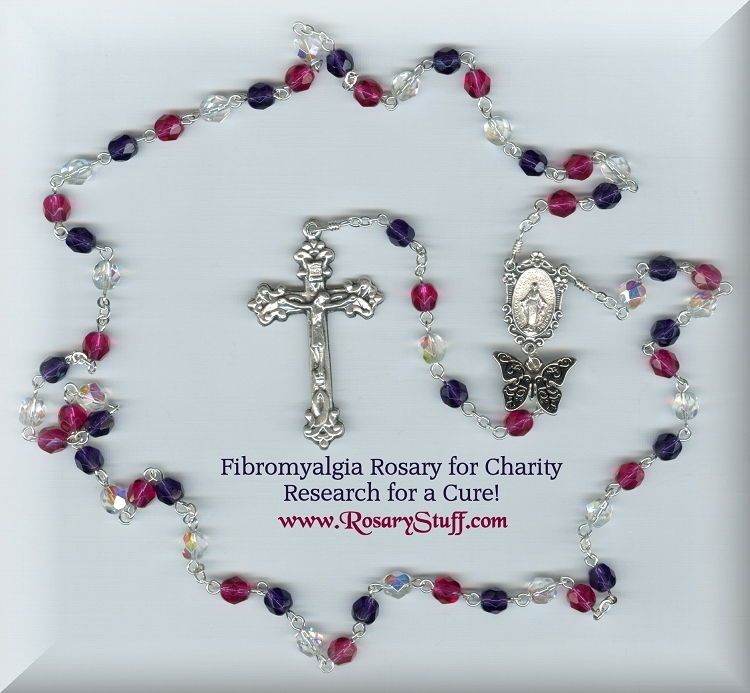 I created this rosary as a way to raise money and bring awareness for the millions of people who live with fibromyalgia. Many people in our country suffer with this incurable illness that is characterized by widespread pain, fatigue, depression and cognitive dysfunction, among many other symptoms. 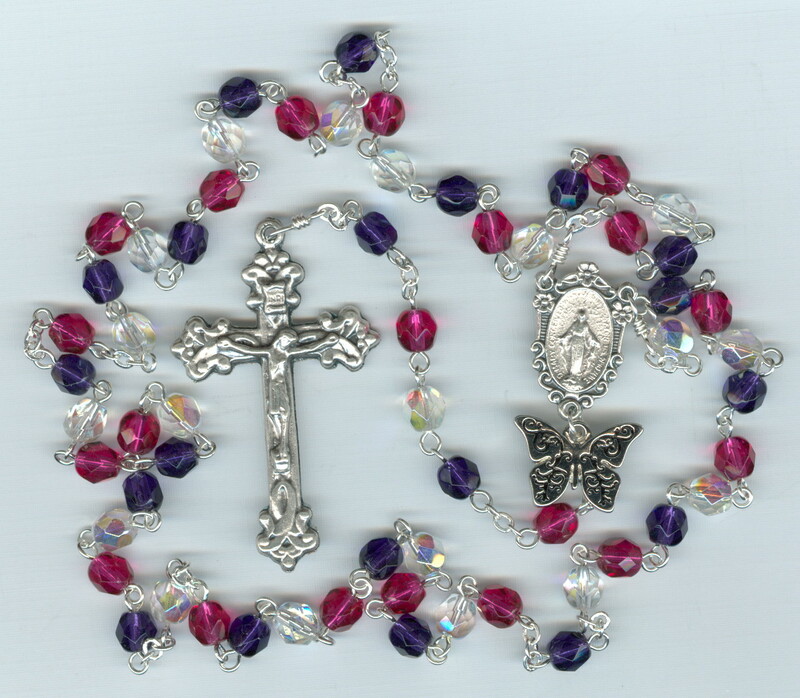 50% of the profit from this rosary will go to the National Fibromyalgia Association, whose mission is to develop and execute programs dedicated to improving the quality of life for people with fibromyalgia. BEADS: alternating 6mm Czech glass fire polished beads (AB Clear, Fuchsia, and Tanzanite (dark purple). These colors are representative of the charity we are donating to. CENTER: Italian silver plate Miraculous Floral center with an attached silver plate butterfly which is also a symbol from the charity.